The bed is where we start and it’s where we end. 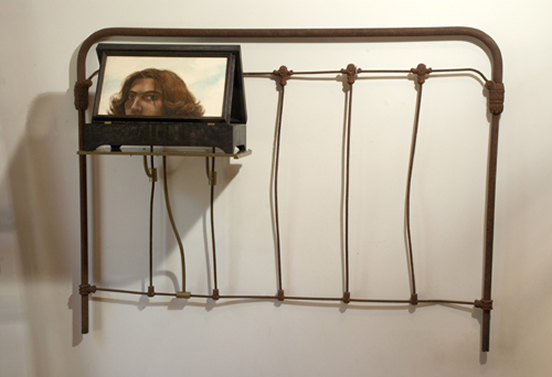 Oil Painting, Wood, Brass, Found bed frame. 48”h x 52”w x 11”d.